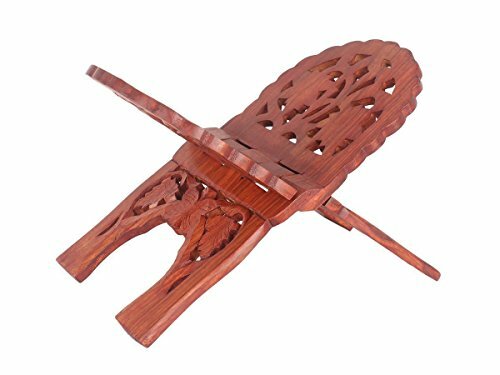 This book stand is ideal for hands-free reading or displaying sacred texts be it the Bible, Quran, Bhagavad Gita or any other prayer books. The eye-catching flower and foliage carvings adds to the decorative appeal, looks great on a desk, bedside table, hall table or study room. Hand crafted by skilled artisans from Saharanpur - India's largest hub for high quality wooden handicrafts. Can be folded away when not being used. If you have any questions about this product by Tanish Trading, contact us by completing and submitting the form below. If you are looking for a specif part number, please include it with your message.